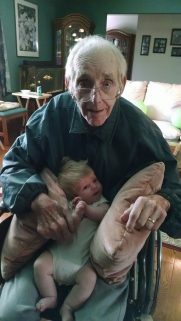 Found peace on Wednesday, September 27, 2017, age 87. Preceded in death by his beloved wife Marilyn (nee Robl). Dear father of JoAnn (Chuck) Marsch, Judy (John) Becker, Mary (the late Dennis) Mehan, Bob (Judy) and Bill (Ardith). Proud grandpa of 13 and great- grandpa of 7. Preceded in death by brothers Donald, Gerald and Richard. Further loved by other relatives and friends . Ed was owner of Robl Cartage and proudly served his country in the US Army from 1951-1953. 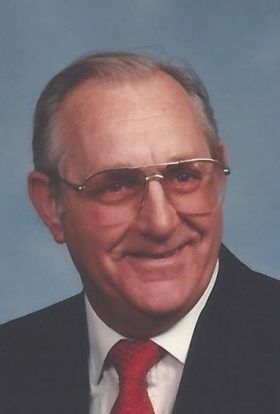 He was a Ham radio operator and enjoyed boating and spending time in Florida. Visitation at St. Anne’s Salvatorian Campus, 3800 North 92nd Street, Milwaukee, Wisconsin on Wednesday, October 4th, 2017 from 12:00 PM –1:00 PM. Mass of Christian Burial will be held at 1:00 PM. Memorials appreciated to the charity of your choice.